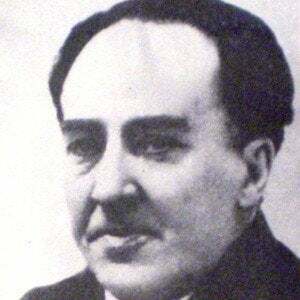 Social realist poet associated with the Generation of '98 and known for such works as Soledades and Campos de Castilla (published in 1903 and 1912, respectively). His later works include Nuevas Canciones and Juan de Mairena. He was born in Seville and later moved to Madrid, where he studied at the Institucion Libre de Ensenanza and discovered his passion for poetry. He worked around the turn of the century as an actor and translator. He married sixteen-year-old Leonor Izquierdo in 1909. Tragically, she died three years later of tuberculosis. He lived in Paris for a time and became acquainted with French Symbolist poet Paul Verlaine.